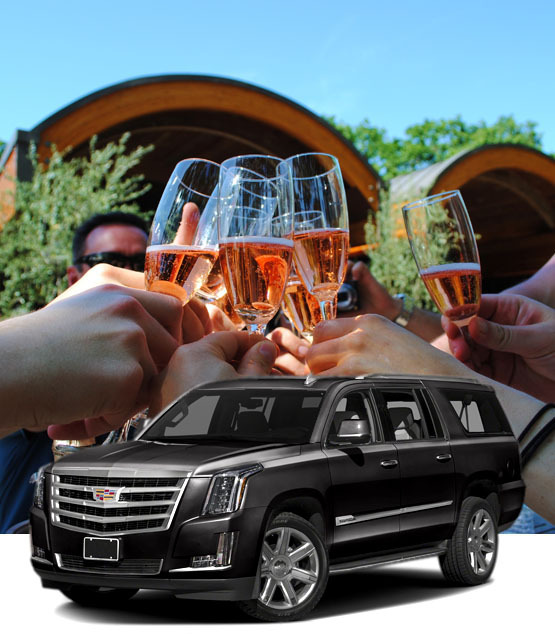 Whenever you think about wine tours for the bay area, think about taking the experience to a whole new level with Sonoma Valley group transportation in a luxurious and elegant black limousine or town car. Treat yourself and impress your guests with the best in Sonoma Vineyards transportation at surprisingly reasonable prices. With our Sonoma Valley limo tours you'll spend the entire day in comfort and posh surroundings, transforming your wine tasting into a unique, memorable, and elegant experience. There's nothing like a sleek black sedan, town car, or stretch limousine for the utmost in Sonoma vineyards transportation. For setting a special mood, you can even choose a fully equipped top-end SUV. With a sharply uniformed chauffeur your day takes on added sophistication while you enjoy amenities like a superb sound system and real glassware to let your wine tours bay area continue uninterrupted throughout the day and on into the evening. With professional Sonoma Valley group transportation mere travel and taking in the mountain vineyard scenery becomes a truly remarkable experience. You can count on SF Black Car for picture-perfect Sonoma Valley limo tours. Our vehicles are flawlessly maintained and our chauffeurs are truly professionals, among the best in the business. We can comfortably accommodate groups of 6 in luxurious Lincoln Navigator SUVs and as many as 10 passengers in elegant stretch limousines. Our experienced Sonoma vineyards transportation will be happy to help you plan your next one- or two-day adventure in style and comfort. We're Sonoma Valley group transportation experts, knowledgeable in wineries, fine dining, overnight accommodations, and annual events. When you think wine tours bay area, think SF Black Car Luxury Transportation Service.